Hey guys (and gals) I need some help with some pictures of the Jakks movie villain figures. 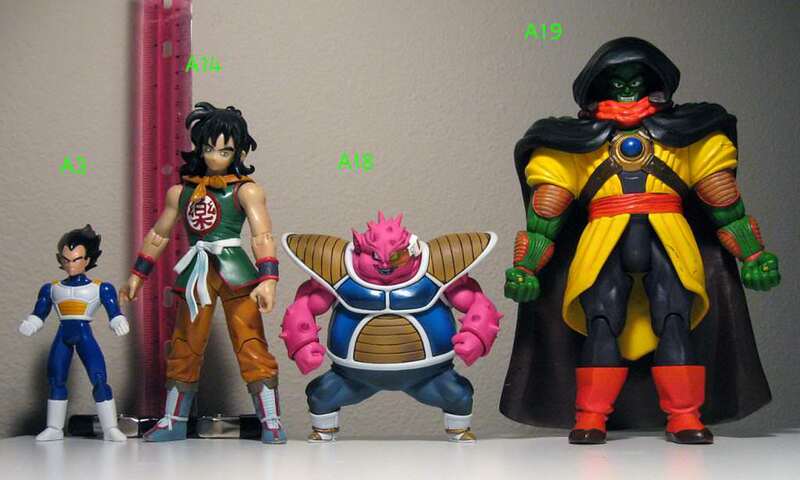 I would like to see the Android 13, Lord Slug, and Bojack next to some Sh figuats for scale. I want to add to my collection or use the as a custom. Thanks in advance. Super Android 13, Android 13, and Bojack are going to be too big for your liking most likely. I don't own any of them anymore, but they are really big. Best I can do for Lord Slug is show you this. He's around 9 inches tall. A lot of the other ones are 11 inches tall. You can see their worst Bojack in this pic I got off google image search of some crappy figures. 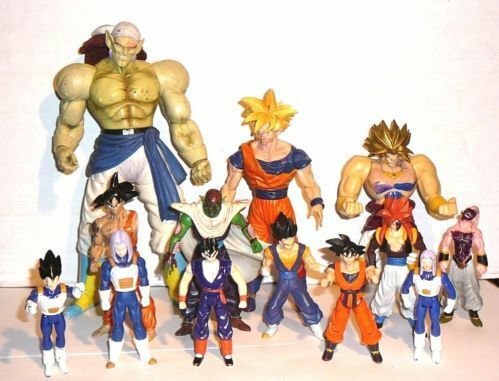 That poor, abused Piccolo figure in this pic is bent over for some reason and should therefore be about as tall as the Vegeta on the far left of my pic. So, as you can hopefully tell, this Bojack Jakks made from Broly parts is a inch or 2 taller than Lord Slug. I believe Android 13, Super 13, and the good looking Bojack are just as big. You can see the good looking Bojack in this second pic. He has the same head as the ugly one that uses Broly's body. Somebody else might be able to help more, but that's all I have to show and say. Oh, and Super 13 is a super cool looking figure, especially if you can find the version that isn't translucent/transparent. I think he was released 3 times. Once in dull colors, once in bright colors, and once translucent. Here's the super bright color version with one of the Broly releases. 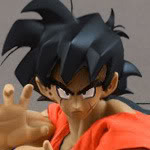 I bet you can find a Broly comparison pic with Figuarts somewhere on DBF. Good comparison of them all. There are at least 2 releases. I think there's 3 though. I've always liked this figure, but never owned it, because it's enormous. I like the one on the left. It looks to be in great condition too. Branjita yeah I was thinking they would be too big, but I was hoping that the regular Android 13 could be customized in to a super android 13 and not be too out of scale. I never owned any of them but Slug could fit and just be a little out-of-wack. Lord Slug is a great figure of a character you'll probably never see another big figure of. There were two different paint versions. I prefer the brighter yellow one (I've owned both). I kept the cape and hood from the regular release though, as I liked the darker cape... but also because the brighter colored one I bought was missing the hood. I found the red inner cape on the brighter painted figure pretty distracting. I'm not sure which is accurate to the movie. But I still recommend the bright one. Also, FYI, if the top of his cape is warped like the bright one below, you could put that part of the cape into freshly boiled water for a about 30 seconds and it'll go back to normal and hold its original position. The bright one is more accurate to the movie I think, and more detailed. The dark one doesn't have painted fingernails. Branjita Yeah I'm looking at getting the bright color Lord Slug. 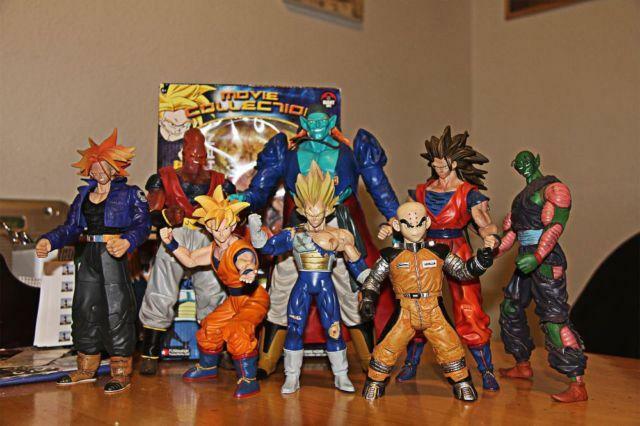 I would still like to see some pictures of the base form android 13 next to some other figures.